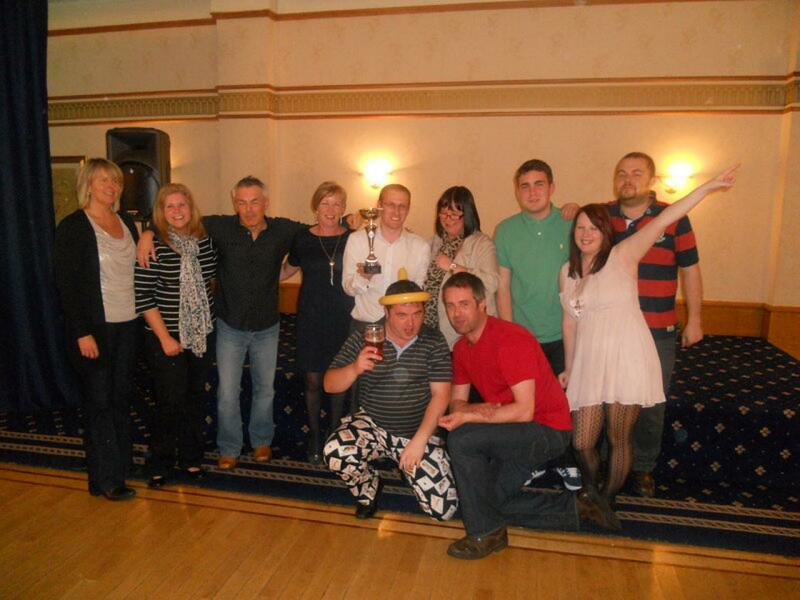 After a long hard week in the office the group from Clydesdale Bank and their guests joined Team Challenge Company at the Best Western Invercarse Hotel for a fun filled Evening of Interactive Quiz Night Entertainment. It was eyes down looking for Name the Landmark and City as the teams were trying to show there knowledge of the world. You could tell that Talking Tayside were well travelled as they were only one point away from top marks which is unheard of in this round! 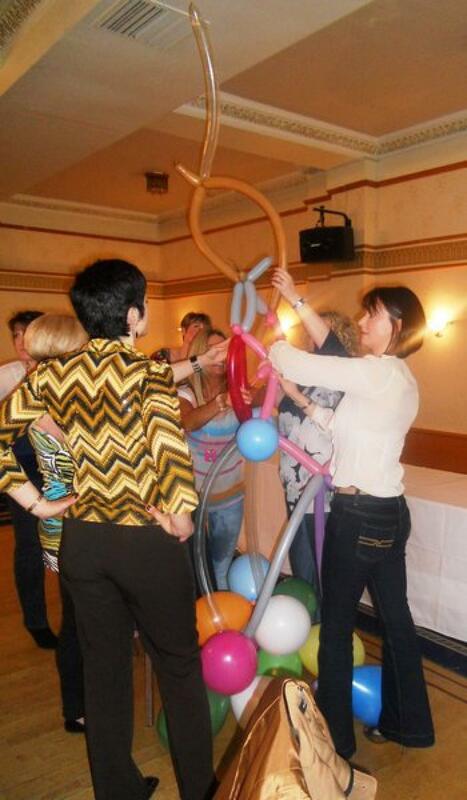 The first Interactive round in this fun filled event was balloon tower. We gave the team a challege to see if they could get their towers higher than 100 inches and after a valiant effort there were only two teams that managed to rise to the challenge! The last place though was a miserable score 19inches and that was with a lot of cheating by Sisters with Attitude. It was time to test the minds of all the teams with a fast paced and frantic game of jigsaw race. The first four teams to step up to this challenge was Let's get Quizical, Sisters with Attitude, Clydesdale Cwackers and Blackladders. After a messy two minutes there was only one winner we don't know how they did it but with only 14 pieces in the right place it went to Sisters with Attitude. For the grand finale it was time for Interactive Bridge Build. All teams were set for the challenge, but there was just one team not listening to anyone or anything! The Sisters with Attitude built a long tube that was at least 150 inches long leading to a crazy frantic rush to try and turn it into a bridge! Unfortunately it just didn't work the car came tumbling off and their dreams were over! Well before we annoced the winners we wanted to give Jackie a massive thank you for putting together this wounderful Evening. But it was sad to say that in last place it was Sisters with Attitude with not a bad score of 3600, in 7th place just missing out on the wooden spoon was Don't worry be happy and Girl Power who just edged ahead. In the top spot taking home the Winner's Trophy was Talking Tayside with a phenomenal score of 8600! We had a fantastic evening full of laughter and competition and we very much look forward to working with you all again in the future.